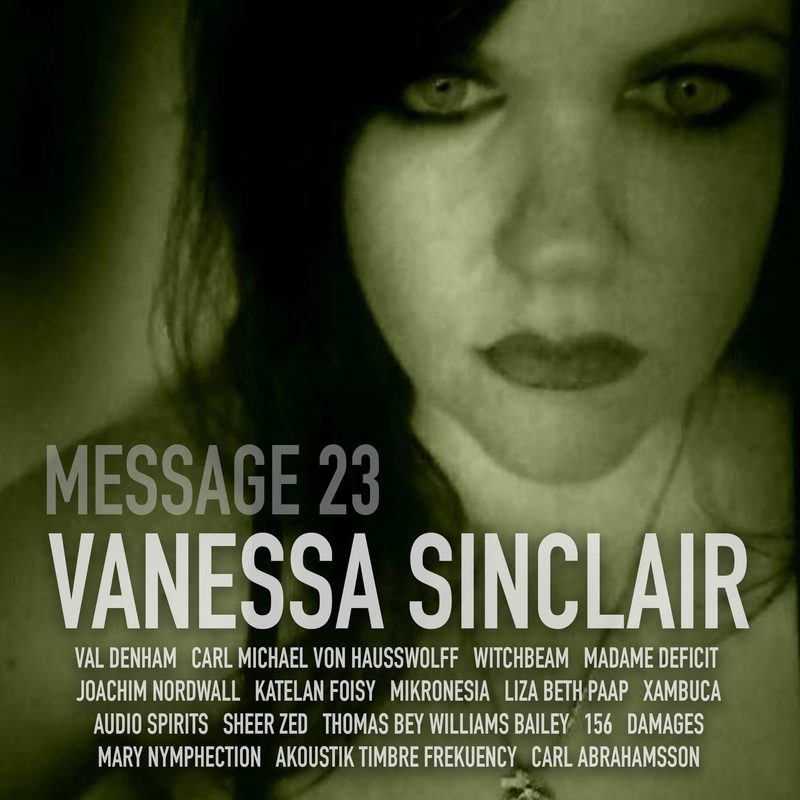 “Message 23” is a powerful compilation with words/readings by American poet/artist Vanessa Sinclair and a host of contemporary talent within the experimental and electronica scenes. The result is a mind-blowing exposé of impressions and truly bewitching seduction. 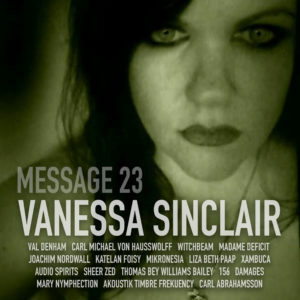 Drifting into areas of sexuality, psychoanalysis, dreams, witchcraft and deep emotional layers, Sinclair together with her collaborators drags the listener into uncharted psychic territories. On this album, Sinclair has consistently used the cut-up technique, as developed by William S. Burroughs and Brion Gysin. And she has collaborated with some of the finest talent on the scene today: Sheer Zed, Val Denham, Joachim Nordwall, Xambuca, Carl Michael von Hausswolff, 156, Akoustik Timbre Frequency, Thomas Bey William Bailey, Carl Abrahamsson, Mary Nymphection, Damages, Katelan Foisy, Mikronesia, Liza Beth Paap, Audio Spirits, Witchbeam and Madame Deficit. The result is a hauntingly beautiful trip into glorious dissociation and exciting chaos.